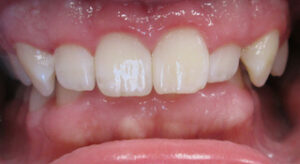 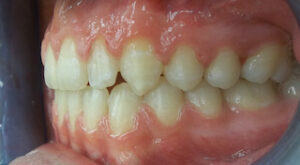 Cl I malocclusion with crowding. 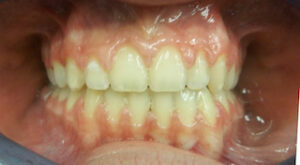 Cl I malocclusion with crowding and deep bite. 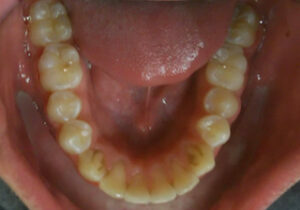 Cl II malocclusion with crowding and deep bite. 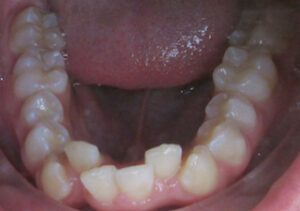 Cl III crowding with complete anterior crossbite. 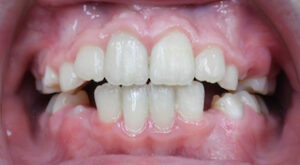 Cl I malocclusion with crowding and crossbite of upper central incisors leading to gingival recession in lower anterior. 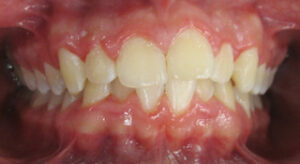 Cl II malocclusion with crowding, posterior crossbite, and excess overjet. 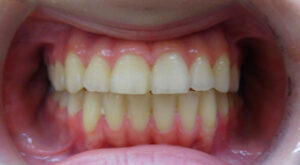 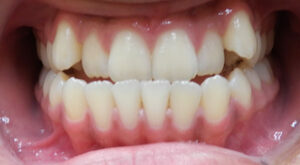 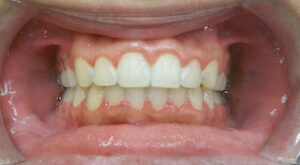 Treated with extractions of 2 teeth and traditional braces. 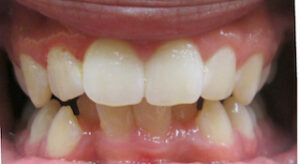 Cl I malocclusion with crowding and blocked out maxillary lateral incisor. 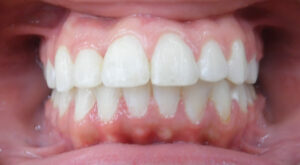 Cl I malocclusion with severe crowding and slight deep bite. 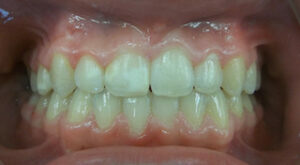 Cl I malocclusion with posterior crossbite and spacing. 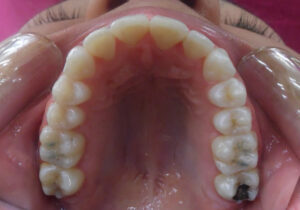 Cl II malocclusion with severe crowding, deep bite, and severe excess overjet. 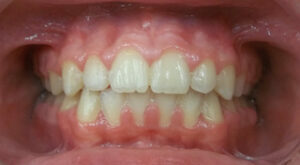 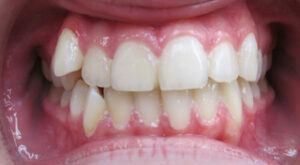 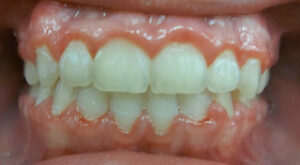 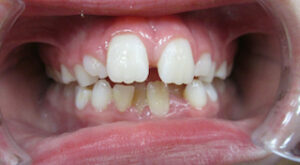 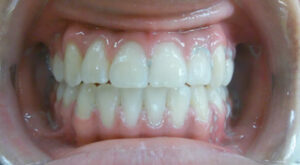 Treated with extractions of 4 permanent teeth and traditional braces. 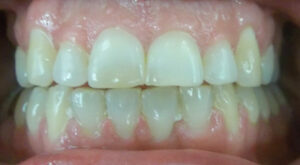 Cl I malocclusion with crowding, deep bite, and occlusal cant (left superior). 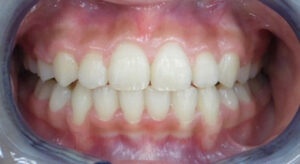 Cl III malocclusion with anterior and posterior crossbites and spacing. 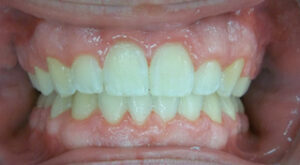 Treated with traditional braces and expander. 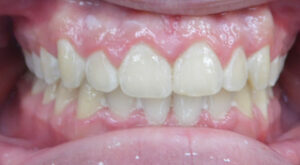 Early (Phase I) treatment. 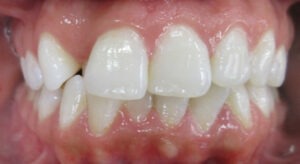 Cl II malocclusion with upper spacing, lower crowding, excess overjet, and ectopic eruption of lower right lateral incisor. 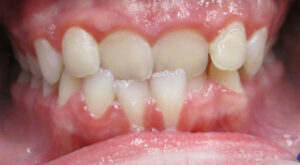 Traditional Phase I braces (only on front 4 teeth top and bottom).